This page provide a summary of the information that is necessary for you to enjoy your stay in Madeira without having to troll the net for hours on end to try and find the relevant information. If you have any idea on how to improve this please let us know via our Contact us page and we will try to oblige. I am often asked it travel insurance is really needed. Well called my old fashioned, but when I go on holiday I do not like to take unnecessary risk. I always advise anyone not to travel without insurance, there are many examples of travelers not wanting to pay the few dollars for the peace of mind that insurance gives one and then being sorry (and sometimes almost financially ruined) by the high cost of hospital treatment, and medical repatriation after an unwanted incident. Remember that when you travel internationally the destination does not necessarily have the same services and fee structure than that you are used to in your country of residence. Madeira is part of the European Union. The official currency of the European Economic and Monetary Union is the Euro. This currency was adopted by members from the European Union. The most commonly used credit cards are Visa, American Express and Master Card. Money can be exchanged at any bank or hotel throughout the Island. Madeira has a national network of cash machines (ATMs) identified by the symbol MB – Multibanco, from which one can withdraw cash 24 hours a day using both VISA and Mastercard credit cards. The Multibanco system is a sophisticated system of Automatic Teller Machines (ATM's) that are all clearly marked with the Mulitibanco logo. Multibanco is an inter-bank network in Portugal owned and operated by Sociedade Interbancária de Serviços S.A., (SIBS), that links the ATMs of 27 banks in Portugal, totaling 11,208 machines as of October 2006. The bank members of Multibanco control the SIBS. Multibanco is a fully integrated inter-bank network and offers more services than the usually found in other countries, making that one of its most known characteristics. The quality of the Portuguese system is recognized everywhere in the world, not only for the modernity of its equipment, but also for the enormous amount of functionalities available via the system. The local current is 220 AC and the connection is made by a two-pin plug. The plug available today is grounded, however in older buildings that use older models of the two-pin plug it is not. Popularly known as the Europlug, this electrical plug is a two-pin unearthed plug used throughout continental Europe, parts of the Middle East, and much of Africa, South America, central Asia, and the former Soviet republics. This plug and outlet is much like some other types of two pin plugs, except it has two earth clips on the side rather than a female earth contact. It is commonly known as a “Schuko” plug, from the invented German word “Schukostecker” which means “protective contact plug. All of these have roaming agreements with most international mobile phone companies and provide users with a reliable coverage nationwide. A number of these have also expanded into broadband service and satellite TV providers. The cost of calls vary between the different network services and a visitor would be best advised to get costing options from the different networks before making a choice. Most of the well known car rental companies are present on the island. You are advised to also try the local brands to ensure you get the best possible deal. Madeira Airport, otherwise known as Funchal Airport, is located 16 Km north east of Funchal, on the Portuguese island of Madeira, off the north west coast of Africa. An airport bus makes the journey, approximately every 2 hours, from the airport to Funchal for a cost of 4 Euros each way (free to TAP passengers), while a taxi for the same journey will cost from 40 Euros. Funchal airport has a bank, money exchange, cash machines, post office, VIP services and Internet access points. If you rent our apartment the agent will arrange for airport pickup and drop-off on request. This option is strongly recommended as it makes your journey much more trouble free. Most petrol (fuel) stations are open between 08:00 a.m. and 11:00 p.m. When travelling outside the main areas surrounding Funchal it will be wise to fill up as refilling stations in the rural area is hard to find. This should not be a serious problem given the small size of the island. The pharmacies on Madeira stock most modern medicine that one may need during a holiday here. Most pharmacists are well trained and willing to help. 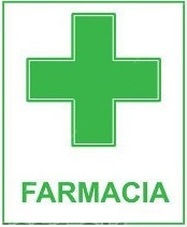 The pharmacies are clearly indicated by a green cross on a white background and some have the Portuguese name for pharmacy (Farmacia) displayed on the logo. The standard time for pharmacies to open is from 09:00 p.m. until 01:00 p.m. and from 03:00 p.m. until 07:00 p.m., from Monday to Friday. During statutory holidays only specified emergency pharmacies are open for service. Pharmacies with extended hours of operation close at 10:00 p.m. Pharmacies operating in emergency schedule close at 09:00 a.m. of the following day. Madeira have many Post Offices or "Correios de Portugal (CTT). The main post offices in Madeira Island are situated in the center of Funchal. One of them is in Avenida Calouste Gulbenkian and the other one in Avenida Gonçalves Zarco. However, you can also find small post offices outside Funchal, such as rural areas, with daily collections. The post offices are open from 8:30 a.m. to 6:30 p.m., from Monday to Friday. When sending mail in Madeira, the standard envelope shape is rectangle. Different shapes may cost more to send. A standard envelope should not exceed 5mm in thickness and should be sealed without the use of staples or clips. All envelopes and parcels should be addressed using an ink pen or computer printed white label. The sender's address should be included on the front of the envelope or parcel in the upper left-hand corner. The recipient's address must be written on the front in the center of the envelope. Banks are open from 8:30am to 3:00pm, from Monday to Friday. On Madeira all taxis are painted yellow with two blue lines and an indicator of occupancy light. Rates and costs for services are visibly displayed in a table inside each taxi. It is recommended that you request a receipt for the service. Catching a taxi almost anywhere in Funchal, and other tourist areas throughout Madeira is generally quite easy. They are driving around busy streets and will stop when signaled by pedestrians. There are also lots of taxi ranks at various locations around the city. Getting a Taxi from the airport is never a problem, although it is advisable to pre-book your airport transfers to make your arrival smooth. Madeira is part of Portugal, member of the European Union. This means that most of the traffic rules are similar to England and other parts of Europe. Driving direction: On Madeira, you drive on the right hand side of the roads. Alcohol: The permissible alcohol limit is 0,5 promille . Wearing of safety belts is obligatory for occupants in the front and in the back seat of a car. Children under 12 must always sit on the back seat. Unless otherwise indicated, there is a speed limit of 80km/hour on secondary roads, and 120km/hour on the highway. Madeira has many newly asphalted roads and a recent dual carriage motorway with many impressive, highly engineered tunnels taking you through and under the huge mountains. This has made driving in Madeira a much easier prospect than it once used to be. Now one can get from one part of the island to the next very easily and without that “edge of a cliff” feeling. It is recommended that you try to experience the thrilling scenic rides that the older roads offer if you get the opportunity. You can still find narrow cobbled roads within the cities and villages. Some people prefer to park in the many car parks and walk around these quaint little streets while others enjoy cruising around in their open top cars, sunglasses on, while enjoying the sunny days and people watching. The Madeiran drivers are used to the many tourists that come to the island and are very friendly and courteous. When you leave the cities and take a trip on the more adventurous roads and mountainous terrains be aware that using the gearbox of your car (moving down the gears) will help you slow down and keep the brakes cool even on the most demanding slopes. Petrol stations are now in all areas of the island but do fill up before leaving the city of Funchal to save you any unnecessary worries. PLEASE NOTE THAT THE INFORMATION PROVIDED ON THIS WEBSITE DOES NOT CONSTITUTE PROFESSIONAL ADVICE, AND IS PROVIDED FOR BRIEF GUIDANCE ONLY, ON A BEST ENDEAVORS BASIS. WE TRY TO KEEP THE INFORMATION CURRENT TO THE BEST OUR OUR ABILITY BUT NO RESPONSIBILITY CAN BE ACCEPTED FOR THE ACCURACY OF INFORMATION CONTAINED, AND YOU SHOULD SEEK INDEPENDENT VERIFICATION OR PROFESSIONAL GUIDANCE BEFORE ACTING ON ANY OF IT.